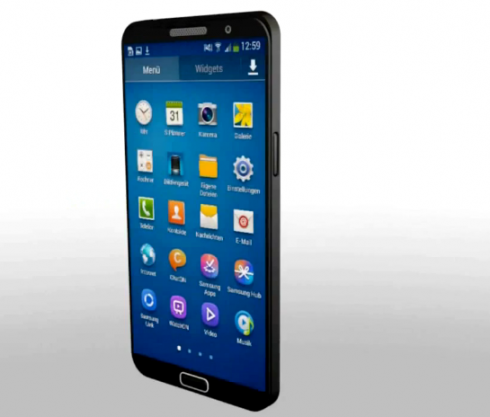 This Galaxy Note 3 concept comes from Tim Hausladen in the form of a video, that’s shown below. The phablet is supposed to debut about 30 days from now at IFA 2013 in Berlin. Speculations say it will have a 5.7 inch Full HD screen, but let’s see what Tim has prepared for us. There’s a 16 megapixel camera at the back with LED flash, a Samsung Exynos Octa 5420 processor and 2 GB of RAM inside. The design involves a sleek aluminum body and the screen is a flexible OLED with full HD resolution. The designer says that you can take the screen and expand it into a tablet size. There’s fingerprint scanning on the handset and TouchWiz UX seems to be present here. No word on the storage, but I’m guessing it’s the usual 16/32 GB of storage, microSD and all that. With a bit of luck LTE-A will be present and maybe we could see more than 2 GB of RAM on the real device. Who knows?